There are two ways to download a payment claim: (a) using the PCS Dashboard, and (b) using the Payment Claim History outside the project. 2. 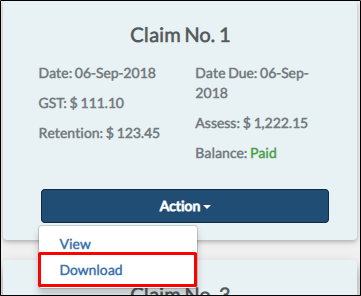 Click the Action button on any registered/unclaimed claim. From the search bar located on the upper right corner of your portal, type in 'Payment Schedule' and click on the result. 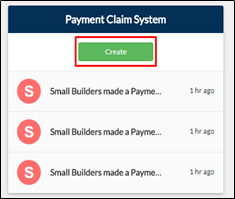 From the dashboard, go to Construction Phase > Payment Claims > Payment Claim System > Payment Claim History > Payment Claim History. 2. Search for the claim then click the link under Preview Payment Claim. 3. You will be redirected to the preview of the payment claim. Click Download on the preview, or the Download button at the bottom of the page.